I meant to post this a while back but couldn’t find the time, so better late than never. I did 7 days with the trays and gel. I’ll try the pen and toothpaste later. 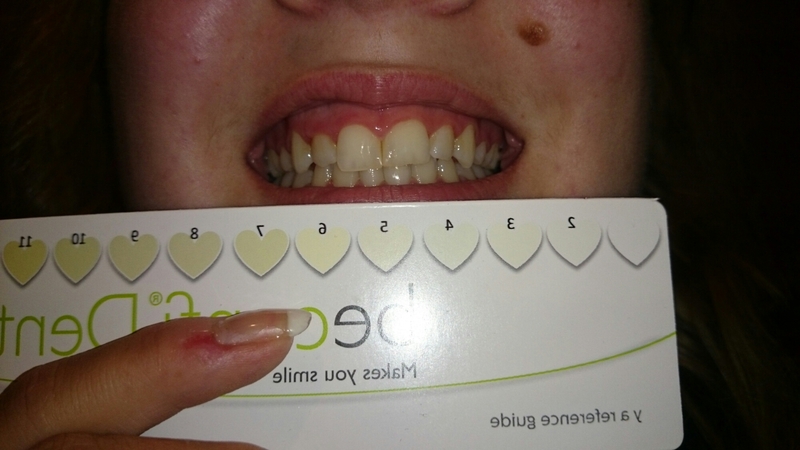 My teeth got a few shades whiter, but more importantly, the yellow spots from to much coke and smoking dussapeared or at least got lighter. Which was what I was looking for. 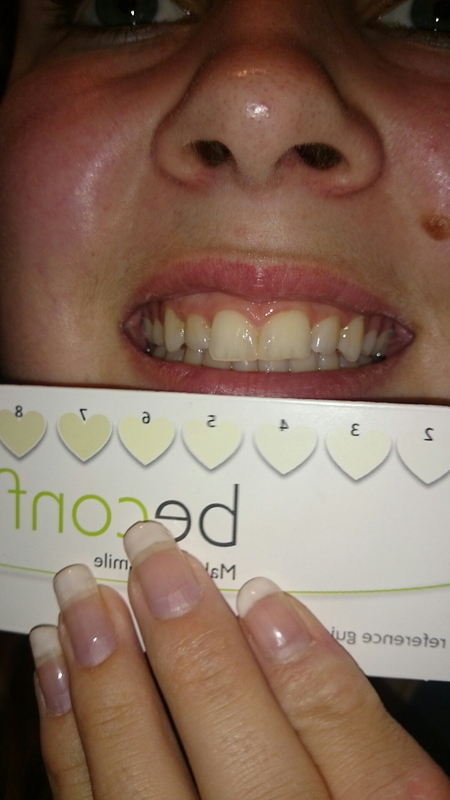 The procedure was simple and completely pain free which is great so I would definitely recommend this. It might be a while until I try the pen and toothpaste. 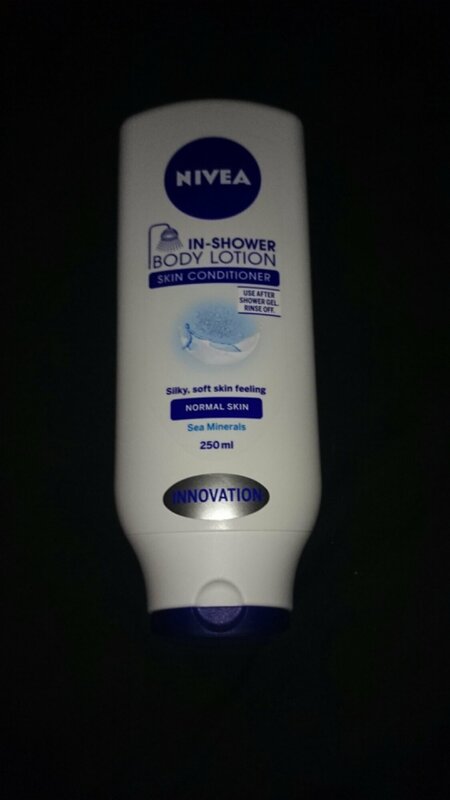 I got the nivea in-shower body lotion today. I think the idea of this is great so I’ve wanted to try it for a while. There are two different lotions, I got the one for normal skin, there’s also one for dry skin. You use it after your shower gel and then rinse it off, if you’re in a hurry this is great since you don’t have to wait for a lotion to sink in before going on with your day. 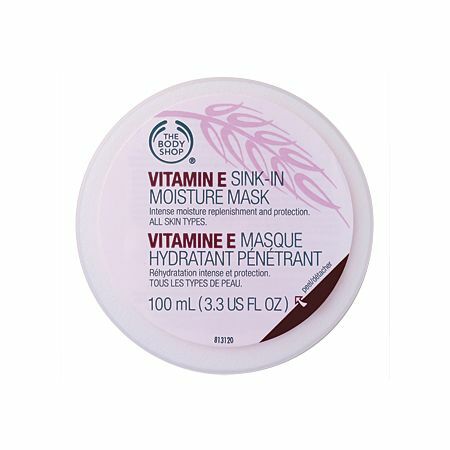 I’ve used it once, but my skin feels smoother than it usually is right after a shower. I’ll keep using it and post a bigger review. I already feel that now in the winter this is not enough to properly moisture my skin, but I’ll combine this with moisturising a few evenings. 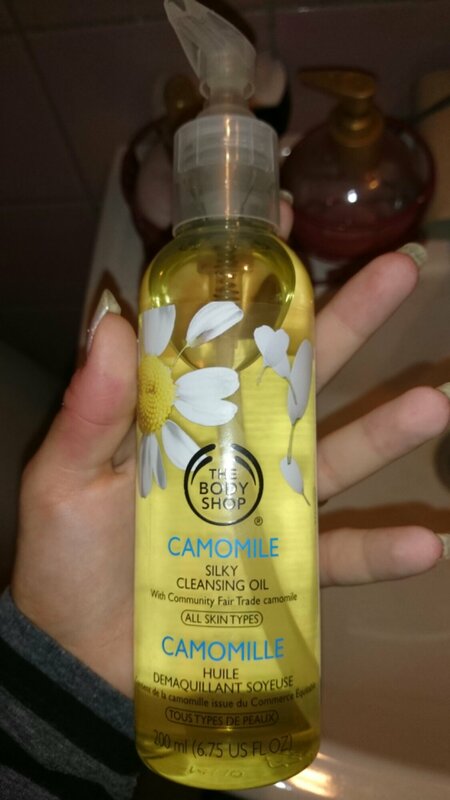 I thought I’d write a first impression review on the Camomile Silky Cleansing Oil. I like the looks of the packaging, but the pump is a little unpractical, I’d rather have it in a bottle similar to the other oils. I feel the pump gives way to much product. The scent is pleasant. The oil itself is slightly yellow in colour and the texture is oily (duh). It glides on smooth. You’re supposed to massage the oil on dry skin and then add water. 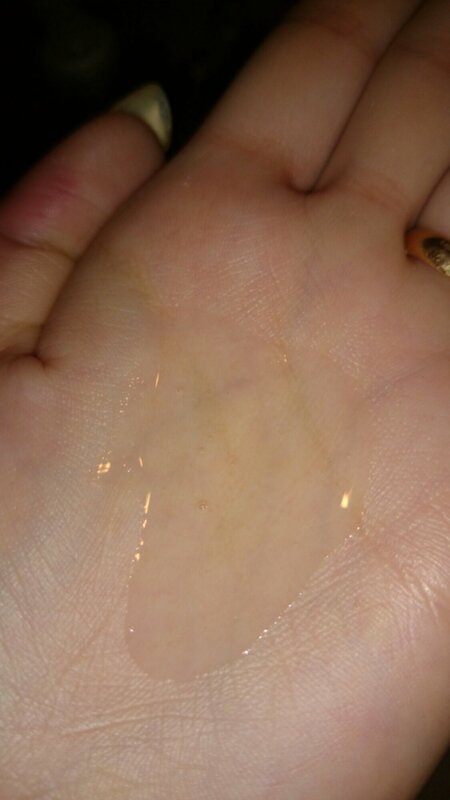 I added water to the oil left in my hand. 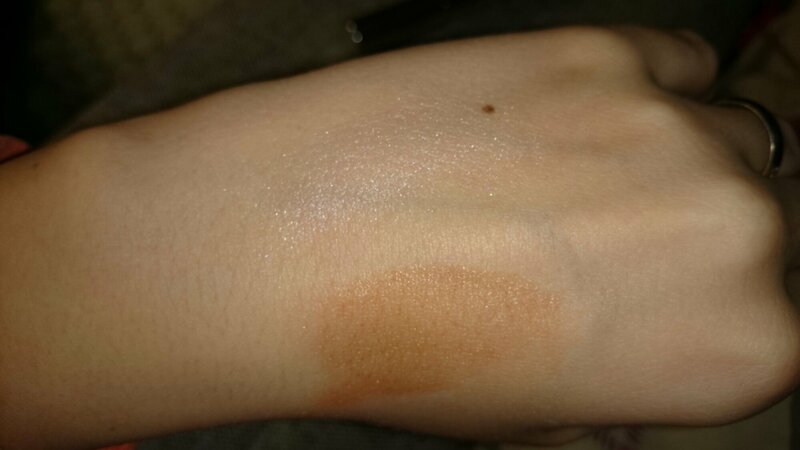 When I wipe it of from my face the skin isn’t oily, so the water dissolves the oil pretty good. I did notice that my skin felt slightly dry after this first use, but that’s pretty common with new products. Over all I’m happy with the first use of this, I’ll write a larger review when I’ve tried it more. 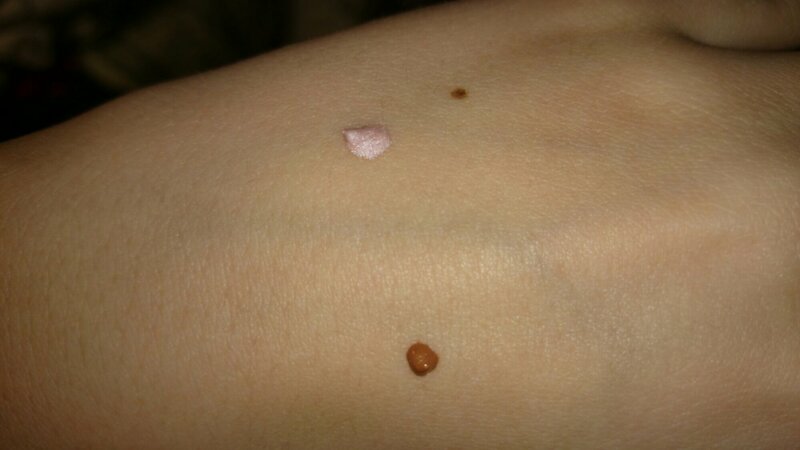 I bought a highlighter and a bronzer the other day. Thought I’d show them here. They’re both from The Body Shop. Small amounts on the back of ny hand. 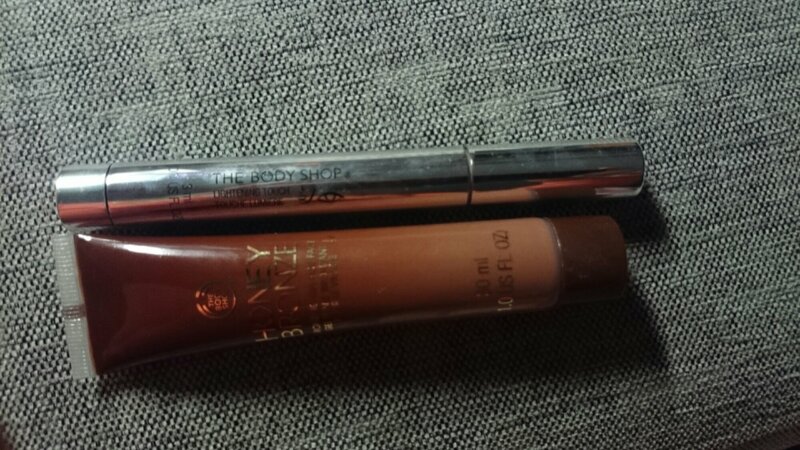 I like these, the bronzer works great for shading. The highlighter is actually the furst highlighter I’ve ever hade, but I’ve liked it the det times I tried it. I’ll try them more before writing a larger review. 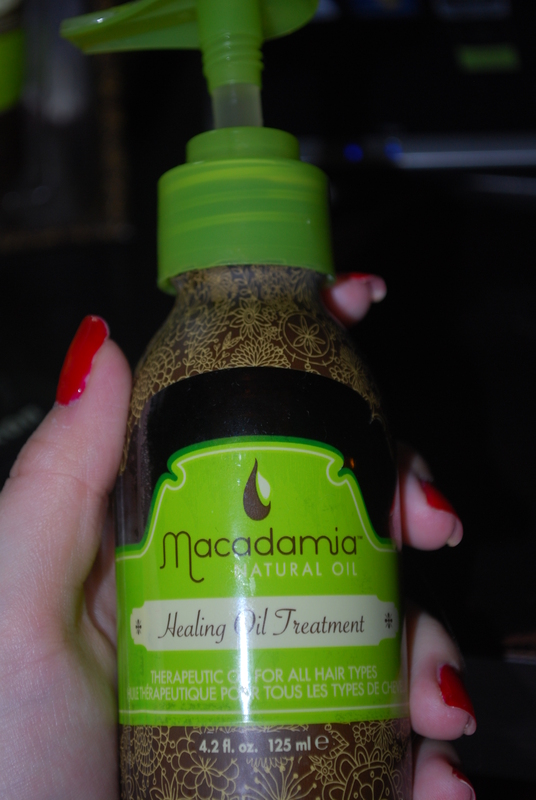 I thought I’d finally do the review on the Macadamia Natural Oil Products I bought. I already have a First Impression Post on these but now I’ve used them for about 2 months and can do a more wxtended review. I’ll start with mentioning that I’ve gotten pretty many comments on how nice my hair is, among those comments are “God damnit woman what’s going on with your hair? Smoooooth!” From a friend. The products I will review now is; Rejuvenating Schampoo, Moisturizing Rinse, Deep Repair Masque, Healin Oil Spray, Healing Oil Treatment, Nourishing Leave In Cream, Reviving Curl Cream and No Tangle Spray. 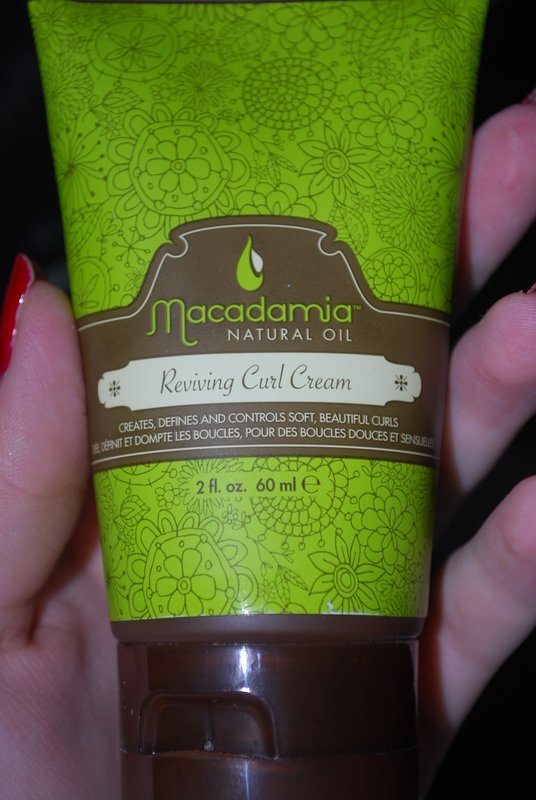 The Reviving Curl Cream I use sometimes when I feel like accentuate my small waves. The No Tangle Spray I rarely use. The Rejuvenating Shampoo is a color safe shampoo that’s free of sulfates and parabens. The texture is like almost every other shampoo, lite a runny gel formula. but not to runny. I always wash twice with this one, once to remove the outer layer of dirt and one more time to reach and care for the hair. It almost doesn’t lather at all the first time. Sulfate Free shampoos usually don’t lather as much as sulfate shampoos but the secomd time it lathers nice. I don’t use much product at all. But the amount that needs to be used depends on how dirty and long the hair is, how frizzy it is can count in to. I think that it works really good. The first few times I used this my hair felt really coarse afterwards and I needed the conditioner to even be able to comb through it. I think however that this was just as the hair got used to a sulfate free Schampoo since it’s much better now. I think that the best way to describe the scent of this shampoo is fruity, my first thought is always honeydew. Since this is a Sulfate Free shampoo some silicones can be hard to wash out with this only, so you can experienca a silicone build up. This isn’t something that I myself have noticed. But I use a anti dundruff shampoo sometimes that probably takes care of that for me. But even when I haven’t used that for a while I haven’t noticed anything. The easiest way to use this is to take a really small amount in the hands and rub the palms together then apply it to the hair. Then add a little more and rinse out, then just wash again. Cleans well without stripping your hair. Can make your har feel corse the first few uses. Can leave some silicons in your hair. This is the conditioner. 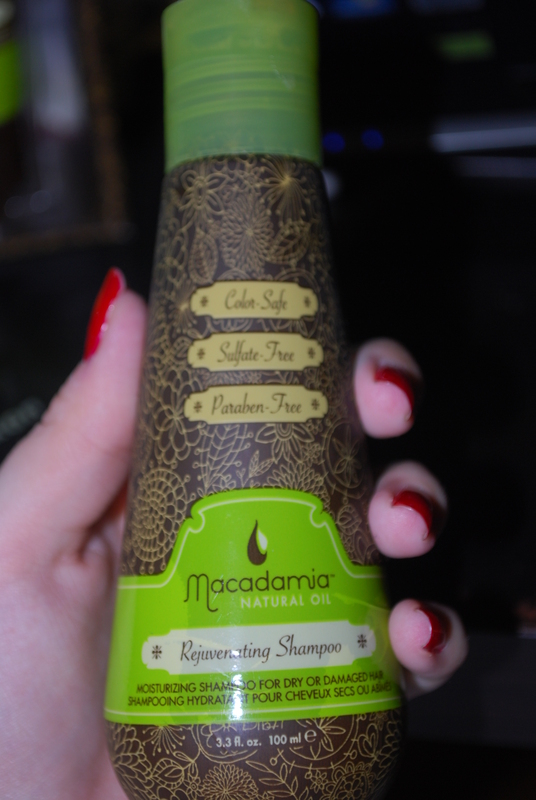 Just like the shampoo it’s color safe and free of sulfates and parabens. The texture is creamy and pretty firm. The scent on this is harder to explain, but it still smells good. The shampoo smells better according to me. As a conditioner this works great. As with the shampoo I think a small amount is enough. I comb through my hair with my fingers or a loose toothet comb before application. I take a small amount in the hand, rub my palms together and combs it through the hair. Then I let it for maybe two minutes before coming through the hair and rinsing it out. Doesn’t weight the hair down. I don’t really have any cons on this conditioner. 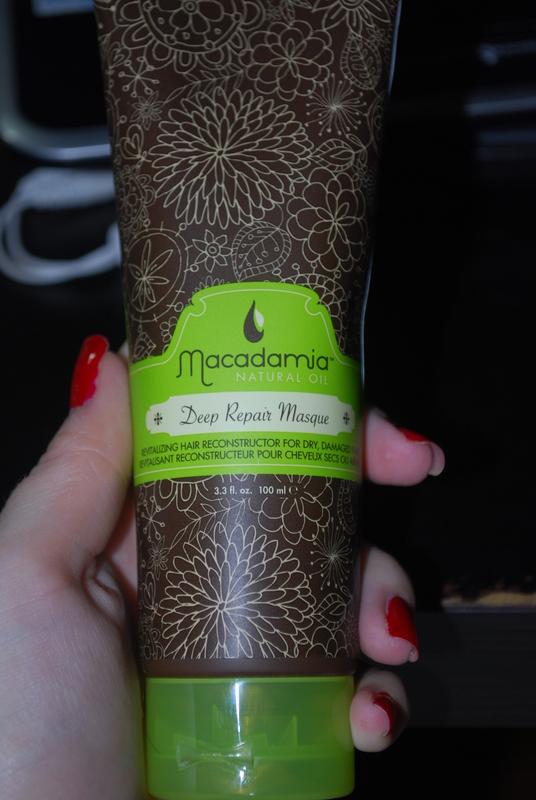 The Deep rapair masque must be the product that smells the absolute best. The texture is a really firm cream and just like the other products, you don’t need much. I use this once a week and it just leaves the hair so soft and smooth. I seriously can’t stop touching my hair. The instruction says to leave this in for 7 minutes. I leave it for as long as i feel like, usually during the time I scrub and wash my body and shaves my legs. If I bathe I wash my hair and put this in before. so then it might be 15-60 minutes depending on the lenght of the bath. I apply this just like the conditioner. Small amount on the hands, rub the palms together and comb it through. Leaves the hair smelling awesome. Healing Spray Oil and Healing Oil Treatment. Since these are basically the same product I’ll review these together. The Spray Oil is a little lighter than the Pump Oil but the functions are about the same. These smell good to, a little more spicy than sweet. I like these oils. They are easily absorbed and don’t leave a greasy residue on the hair if you don’t use to much. I usully use the Healing Oil Treatment on wet hair and The Healing spray Oil on dry hair as an extra boost if needed and after styling. After I apply the Healing oil treatment though I always need to wash my hands to get the oil of my hands. Not really a problem, but can be if you have dry hands or are in a hurry. I apply the Pump Oil just like the conditioner and Masque. 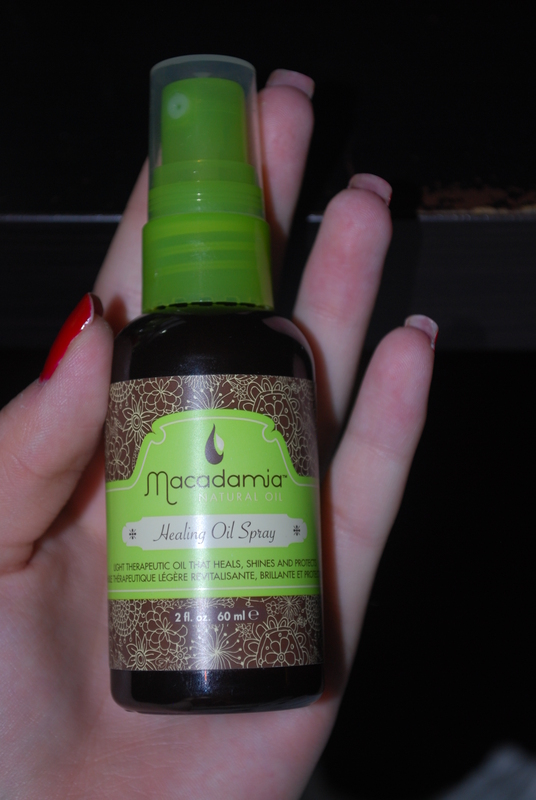 The spray oil I usually spray directly on the hair and combs through with a boar bristle brush. Can leave the hair greasy if you use to much. Now we’re back to the sweet smells. This has a cream texture and as the other products. A little goes a long way. you need about a pea-sized amount every time. It applies easily and don’t leave a residue. If you use to much it will leave a residue, but thats obvious. 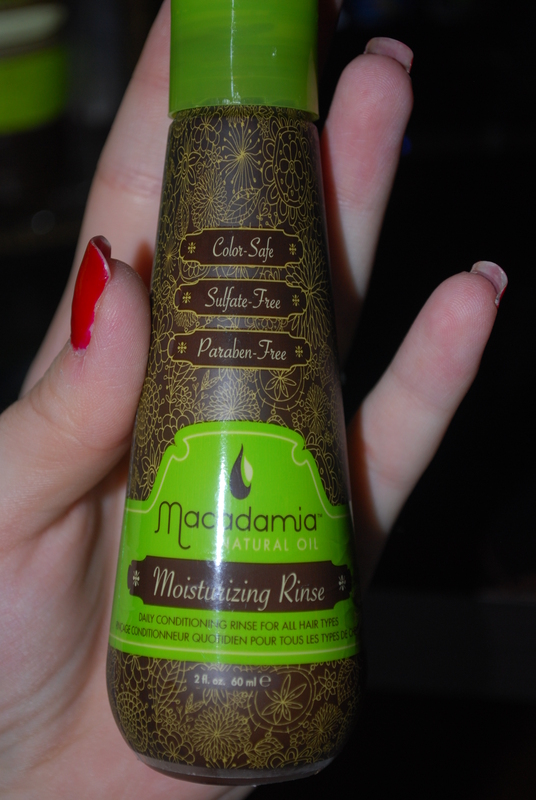 I usually use this with the Healing Oil Treatment, but I’ve used them both seperatly and like it either way. I think this cream is the reason my hair keeps so straight. I apply it like the oil, and usually I apply this before the oil. Don’t know why, I just prefer it that way. It’s pretty easy to take to much. I havent used this one a lot. Only a few times. But the times I used it I liked it. 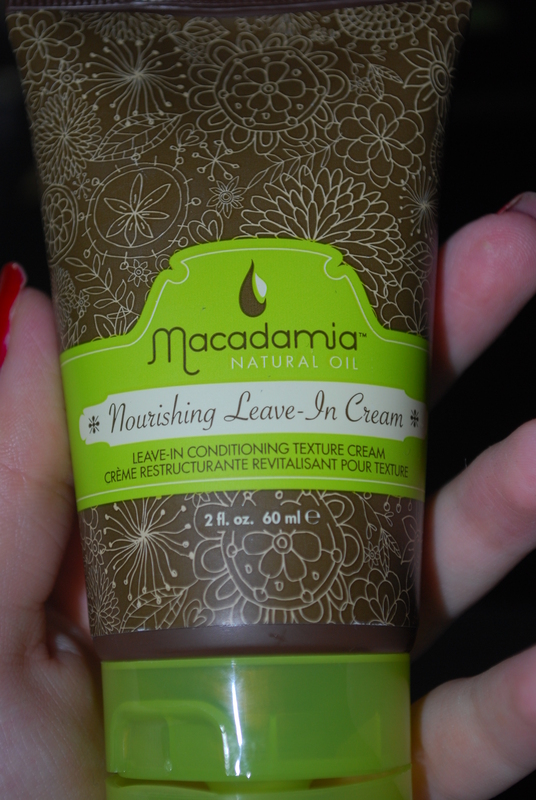 I actually have it in my hair now It smells wonderful and the texture is creamy. Again you only need about the size of a pea and if you take to much of this your curls can get a bit stiff. When I use this I use it on wet hair with the Healing Oil Treatment or alone and I spray on the Healing Spray Oil after my hair dries. I get small and messy hair by this, sort of a messy bed head/seducing hair. I apply this like the Nourishing Leave-In and after I applied it i either just squeeze my hair into curls or I put it up in a really messy bun with hairpins. And if needed I pull my fingers through the hair. Never a comb or brush. Gives a curl boost that’s nice. This is the product I’ve used the less. I don’t need it on my self. I tried this on my younger brother with the No tangle brush though. And he was able to keep playing his video game while I combed through the dread like mess on the back of his head. Wheather that was this, the brush or the combination I don’t know. This has a cream like texture which in combination with the spray bottle just seems weird. I have however not had any problems spraying with it. I think this one is kind of unnecessary in use with the other products. I feel it’s to early for a Pro and Con on this one though. Well so overall I can say that I love this product range. Right now I don’t want to use anything else. I’m completely sold. I would and will absolutely repurchase this. Next time I’ll order the big packages. Both me and my hair loves these product range. I’m dying to try out Flawless to since I feel that that would be wonderful to have in my gym-bag and if I’m in a real hurry. Sadly I don’t think I’ll be able to afford it in a while given christmas and that I’m running out of the other products. I also need new eyeshadows. But I hope I’ll be able to try it as soon as possible. The Body Shops Christmas scents are in store now and with the coupons I got with the last print they sent out I took the chance to get some of the seasons products. Here’s what I got. I’m not usually a fan of vanilla scented products, they usually smell so much that I get a headache. This one however was really mild when smelled it in the store so I took a chance and bought a small kit with shower gel and Body Butter and also bought the bath crystals. 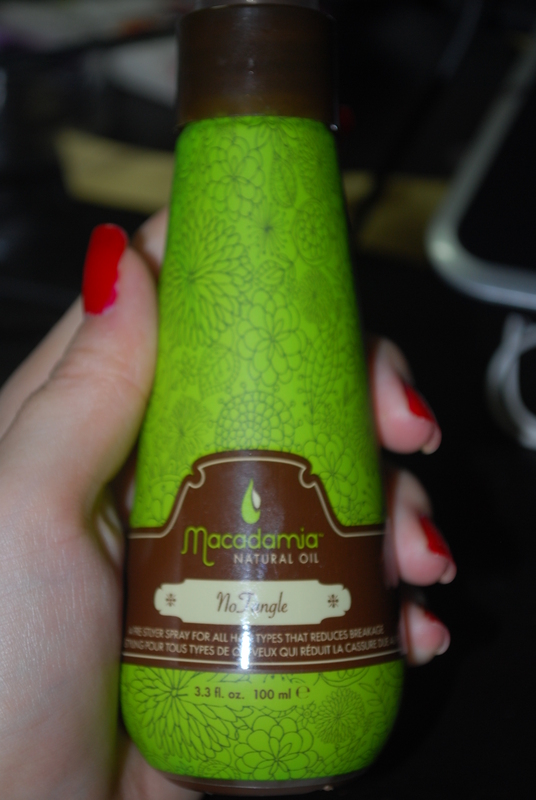 I liked the scent, it smells vanilla but not to strong. Just enough. I actually tried these tonight right before writing this post. My bath lasted for about 5 minutes though, so I’ll write about the feeling of the bath crystals when I tried them more. But the shower gel and body butter was as nice as usually. The first thing I have to say is that I love the packaging this year. That snowcovered cranberry is simple and beautiful. I like the scent of these in the bottle, tub and tube. Haven’t tried them yet, so I’ll update when I do. But the scent is sharp and fruity. For me Cranberry isn’t a part of christmas, but the scent is wonderful. I really look forward to trying these. Don’t think I’ll use the bar soap though. Usually don’t. As to the christmas products they have a third range Ginger Sparkle, I don’t usually reach for ginger scented products mostly because my fiance don’t really like the scent, so I didn’t buy this one. I did however smell it and it smelled nice. I am however going to buy the christmas calendar and who knows, maybe there’ll be a sample of Ginger Sparkle in there. I might buy a small kit of this to try if I have money left after buying christmas presents, food and everything else christmas’y. But I’ll give you better reviews on Vanilla Bliss and Cranberry Joy when I tried them more.